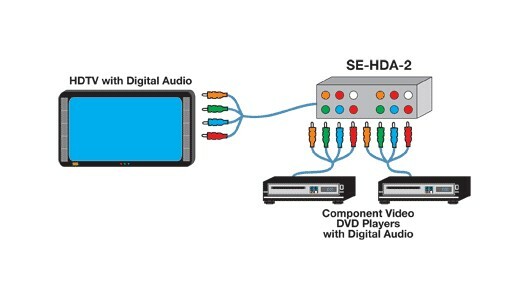 The SE-HDA-2 Component Video / Audio Switch enables one of two YPbPr component video devices to be played on a home theater system. 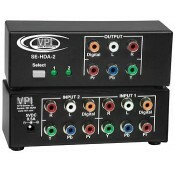 Each input and output has YPbPr component video, L/ R analog audio, and digital audio on coax (S/PDIF). 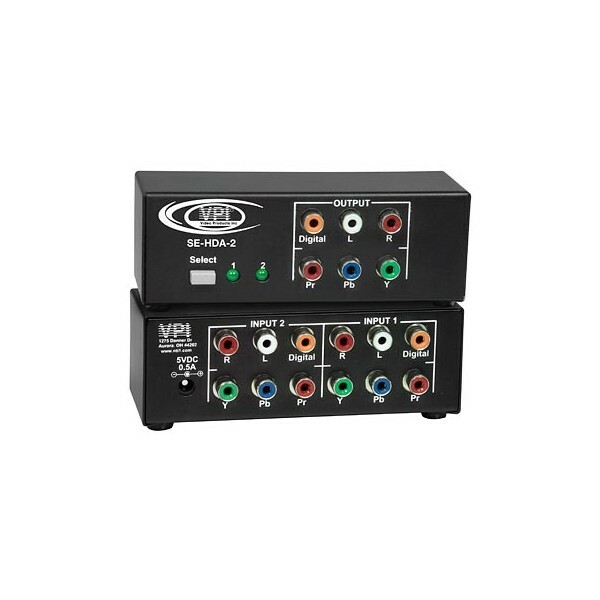 Supports High Definition and Standard Definition YPbPr component video, S-Video or composite video. Support for numerous YPbPr devices such as satellite, gamebox, DVD. Audio can be left and right analog stereo or digital S/PDIF. Switching can be done via front panel button. 110 at 60 Hz via AC adapter.